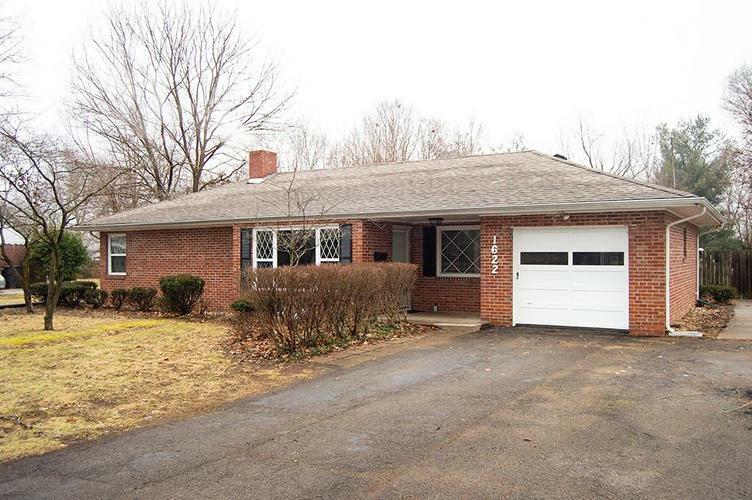 Updated Ranch home with open floor plan in GREAT location that is MOVE IN READY! 3 Bedrooms/2 Bathrooms, hardwood floors, Partial Finished Basement with Rec/Play Room, Office, Laundry Room and Storage. Large Fenced Backyard with fruit trees, yard barn and INGROUND POOL (16x32) surrounded by huge patio. Many items recently updated: New carpet and pad, freshly painted interior, New oil rubbed bronze hardware, New windows and roof (2015), new range in kitchen, freshly painted basement, freshly painted garage floor and radon mitigation system. New Pool liner (2017) and New mesh pool cover (10/2018). Home is close to the neighborhood park and basketball court. Directions:North on Central Avenue, Turn right onto Lauren Drive, House is on the right.